These days, it's helpful for kids to know more than just reading, writing, and arithmetic. For parents hoping to introduce their children to computer programming concepts at an early age, there’s a new toy from Fisher-Price designed to do just that. 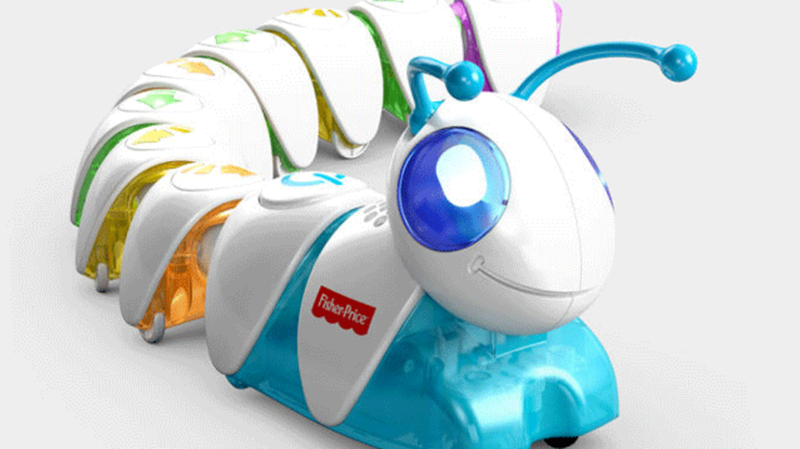 The Think & Learn Code-a-Pillar uses different segments of its body to demonstrate coding basics, like sequencing and programming, to preschoolers. Each piece is color-coded and marked with a different symbol. Assembling the segments in various sequences can cause the toy to move in different ways, or even move toward a specific marker. Rather than learning through a computer screen, the Code-a-Pillar offers kids a unique and hands-on way to familiarize themselves with these concepts while having fun at the same time. The toy also pairs with a free companion app for iOS or Android. Parents looking to get even more out of the toy will be able to purchase three different expansion packs, each of which will allow the caterpillar to perform extra actions, like turning 180 degrees or creating different sounds and light patterns. Fisher-Price debuted the $50 product at last night’s pre-CES media event, though it won’t be available commercially until this summer.